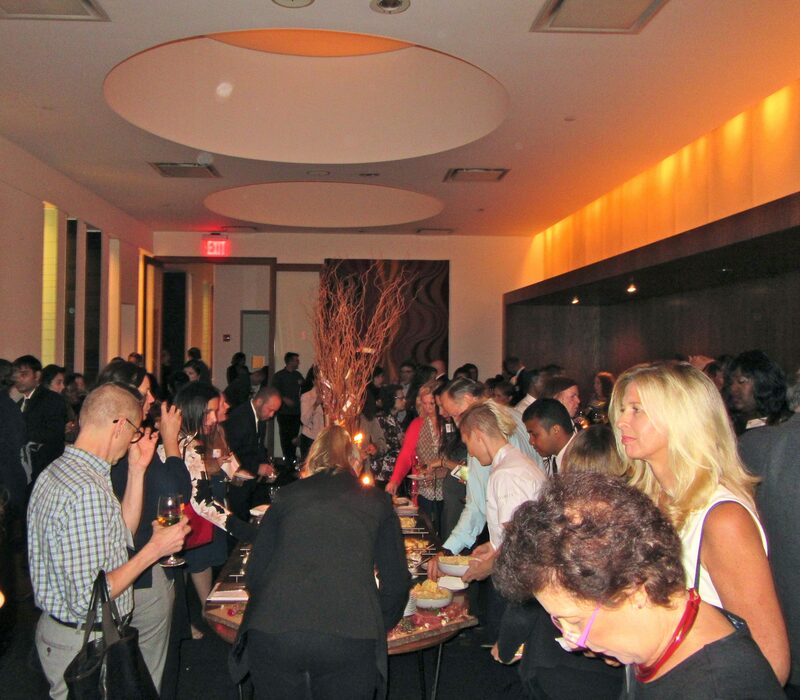 Jarlsberg Cheese Celebrates 60th Anniversary With Fabulous Party at Aquavit, NYC! 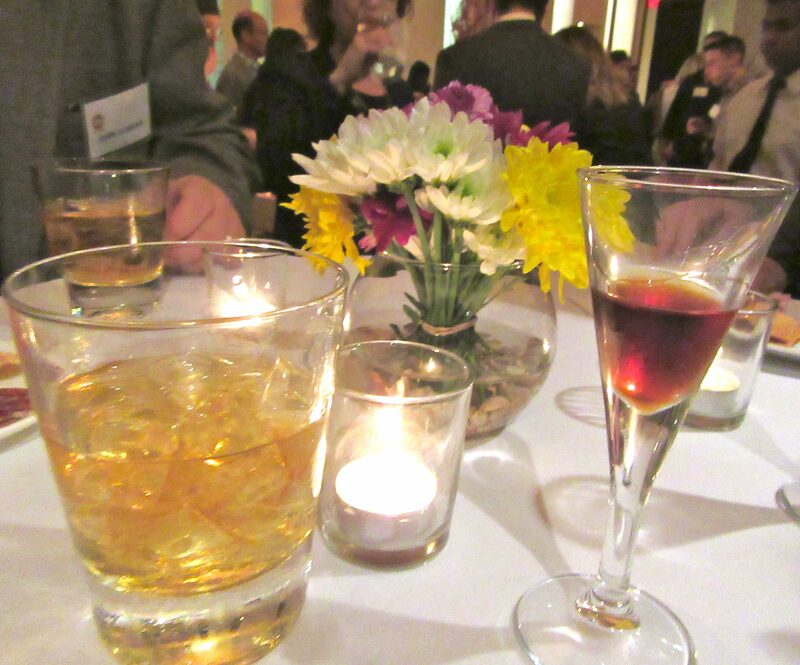 One of my favorite perks of writing this rad blog is being invited to a really nice press party; one where quality food, drink, atmosphere and fun people all come together to create a memorable experience that I just can’t wait to share with readers. 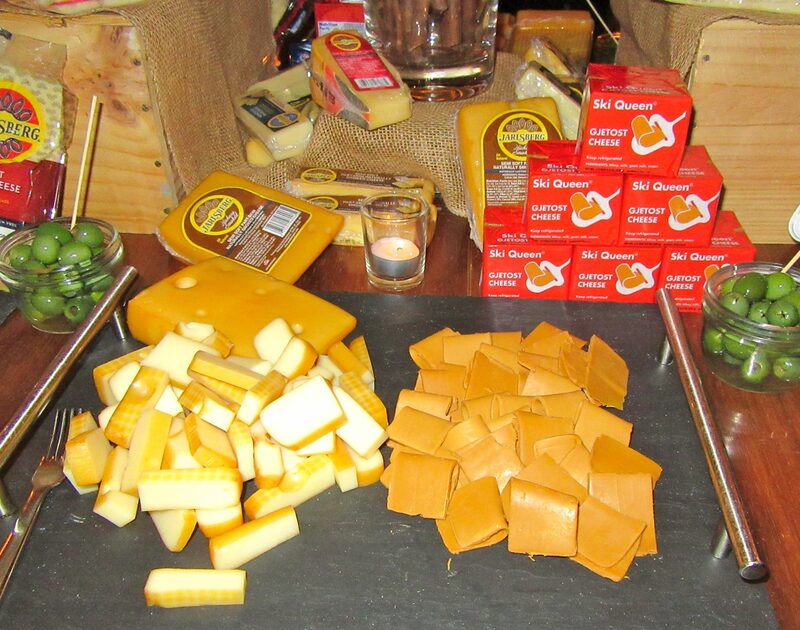 A couple of weeks ago, I was fortunate (and thrilled) to attend the 60th Anniversary Celebration for Norway’s most famous cheese, Jarlsberg – and what a fabulous bash it was! 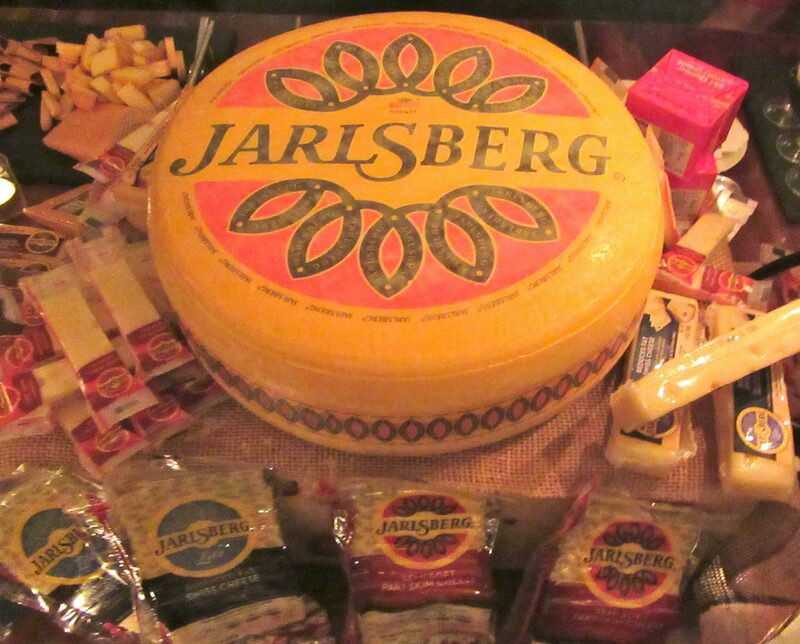 Jarlsberg is popular here in the states, but you might not know much about the rich history of its Norwegian heritage. 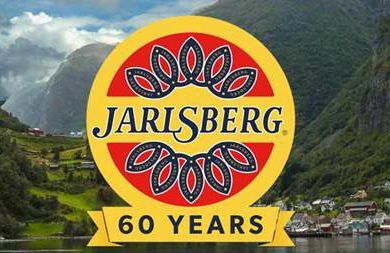 Created in 1956, using an original Norwegian recipe, the Jarlsberg brand of cheese has been exported to the United States for over 50 years and is one of America’s most loved and best-selling brands of specialty cheese. It is named after Count Vadel Jarlsberg, whose estate was on the Oslo Fjord near where it was first manufactured. Known for its mild, mellow and nutty taste — unlike any other specialty cheese — Jarlsberg is classified in the U.S. as a Swiss/Emmenthaler type cheese. Jarlsberg (pronounced: Yarls Berg) cheese is one of America’s favorite specialty cheeses, and it’s a crowd-pleaser when served on a cheese board, for snacking, delicious in a sandwich, in an omelet, baked, or melted on top of a burger — and its exquisite melt-ability makes Jarlsberg an ideal choice for fondues. Most surprisingly, because of the process through which it is made, Jarlsberg is naturally lactose-free! 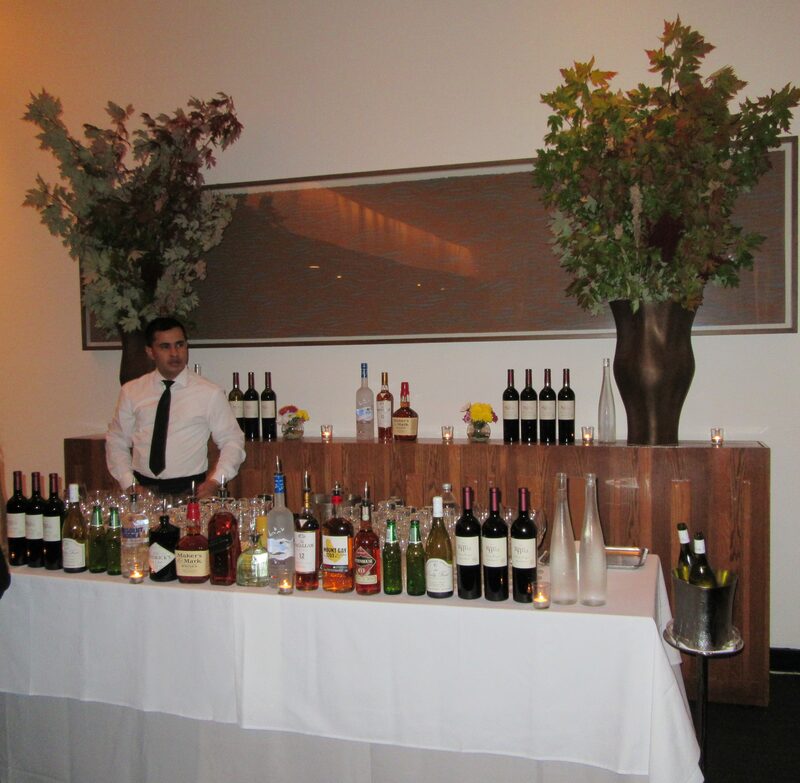 The party was held at Aquavit, a Michelin-starred, Scandinavian restaurant in midtown, which provided an elegant backdrop, complete with gracious, first class service for this special occasion. Jarlsberg CEO and President, John Sullivan was present, along with other Jarlsberg executives, who each addressed the gathering, and later were happy to mingle and chat with guests. 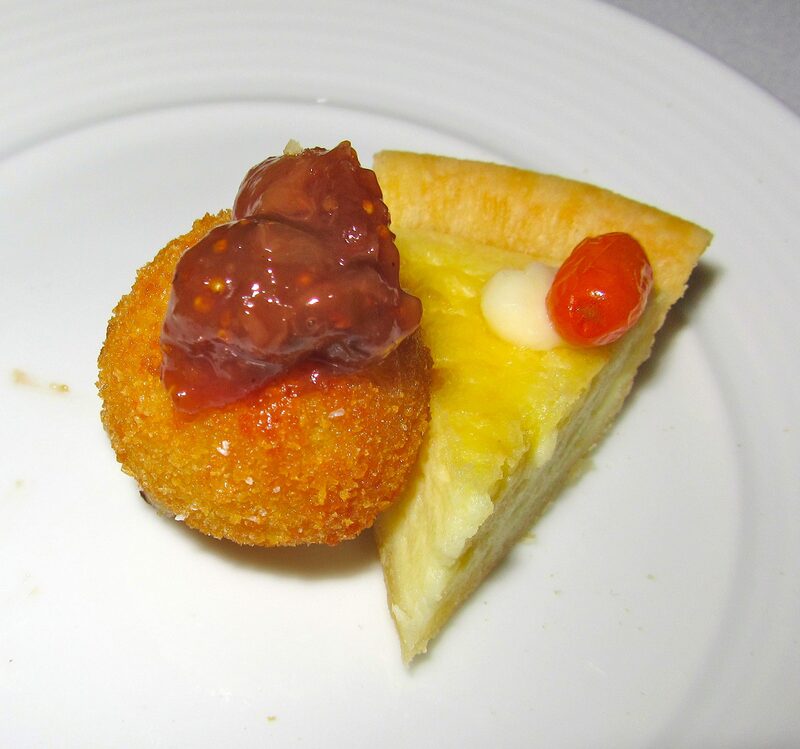 We were also introduced to Aquavit‘s Executive chef Emma Bengtsson, who created a special menu for the evening that included Jarlsberg Cheese and other Norwegian Specialty Cheeses. Here are some photos of the amazing food! 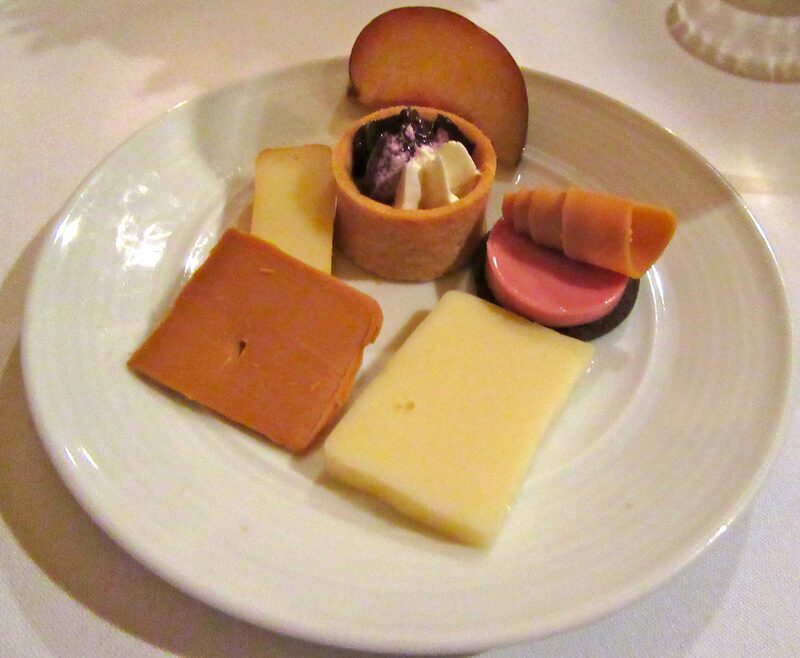 Shortly after I arrived, I was asked repeatedly if I had yet tried “The Brown Cheese” — which was the buzz of the buffet. You can see what they were talking about on the right side of the platter in the above photo. Made under the Ski Queen brand (a subsidiary of Jarlesberg’s parent company, Tine) this Norwegian cheese is called Gjetost, and it includes a mixture of cow and goat’s milk. Gjetost has a unique, sweet flavor due to the way in which it is processed. The milk is cooked until the sugars in it have caramelized, giving the cheese its distinctive brown color and sweet flavor. The milk is then curded and pressed. This distinctive “brown cheese” (brunost) became popular as a skiers’ snack and thus was given the label Ski Queen. It is widely popular among Scandinavian-Americans, and children especially are drawn to its sweet flavor. I must agree, it was uniquely delicious! Brown Cheese! 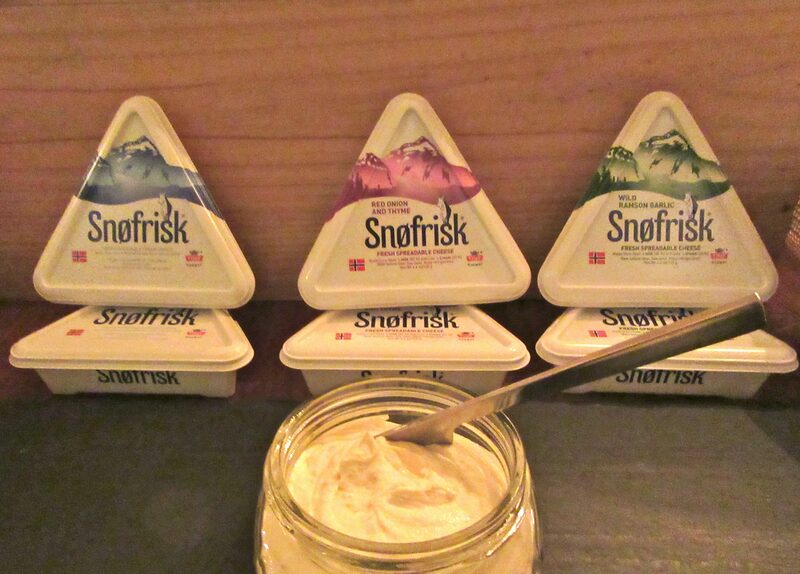 Another Tine brand is Snøfrisk cream cheese spreads, which are made from 80% goat’s milk and 20% cow’s cream. A touch of salt is added and that’s it: there are no artificial additives, preservatives or colorants. The creamy consistency of the cheese makes it perfect for use on a cracker, bread or as a snack together with fresh cut vegetables, nuts or honey. Snøfrisk is the creamiest, lightest cream cheese I’ve ever tasted! At the party, we got to try the original flavor as well as two of four flavored varieties, Red Onion & Thyme and Wild Ramson Garlic, which will soon be available to buy here in the States along with Dill and Horseradish flavors. 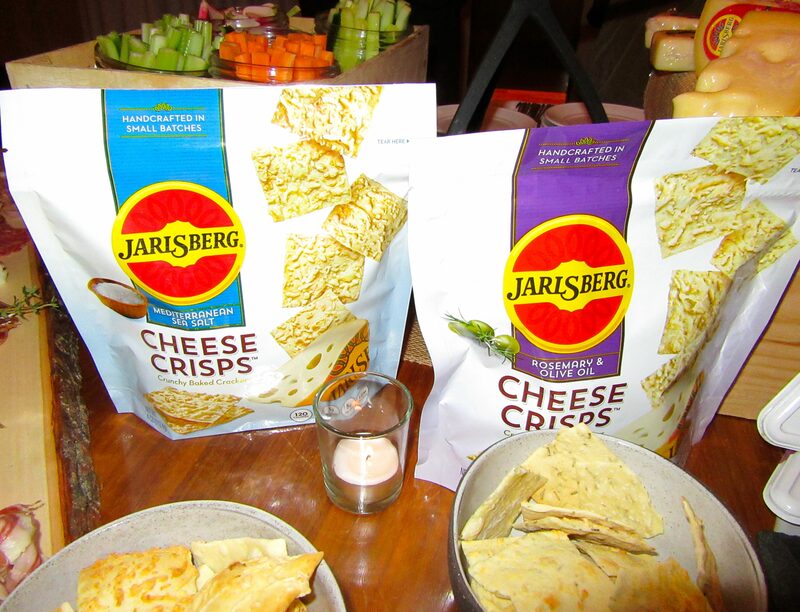 Also present on the buffet were Jarlsberg Cheese Crisps, which are a new product for the brand. These incredible savory, crunchy baked crackers are handcrafted in small batches, and made with freshly shredded Jarlsberg Cheese that is immediately sprinkled on top of the crunchy crackers just prior to being baked. Jarlsberg Cheese Crisps take the mild, mellow and nutty flavor of Jarlsberg Cheese and bake it into a delicious crunchy snack. The Cheese Crisps in come in four flavors including Rosemary & Olive Oil and Mediterranean Sea Salt (pictured above), as well as Chipotle and Garlic & Herb. They are sturdy enough to hold a variety of toppings, and taste especially fantastic with a glass of red wine! 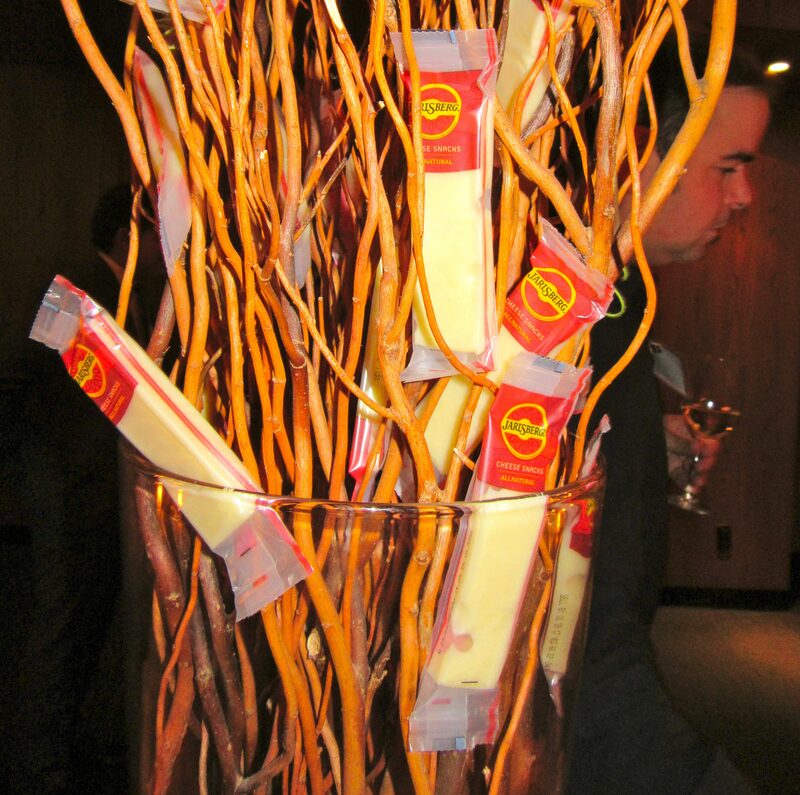 Also new to the brand are Jarlsberg Cheese Snacks, packaged cheese sticks which were cleverly hiding among the twigs of this centerpiece. At just 70 calories per snack, I threw a couple in my bag to take home! 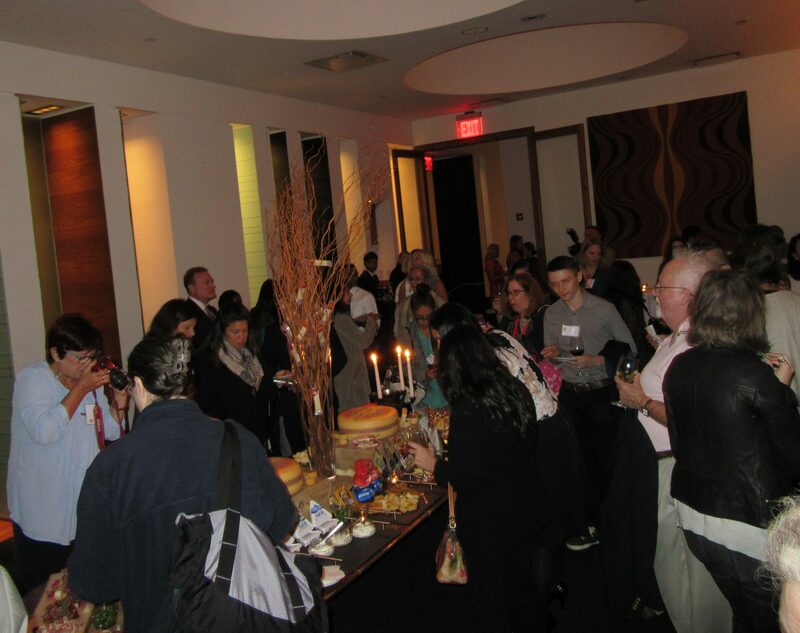 The party got pretty crowded, but if you had trouble getting close to the buffet, there were no worries, as passed hors d’oeuvres from Chef Bengtsson were also offered. There was also a full bar with top shelf alcohol, and they would make any kind of drink you wanted. It was amazing! 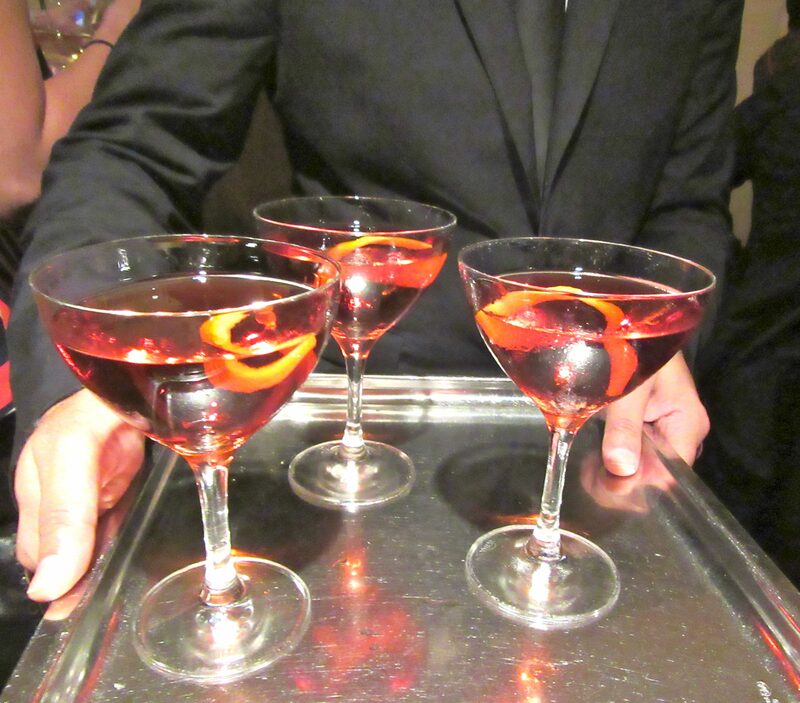 Look, a tray of Negronis! 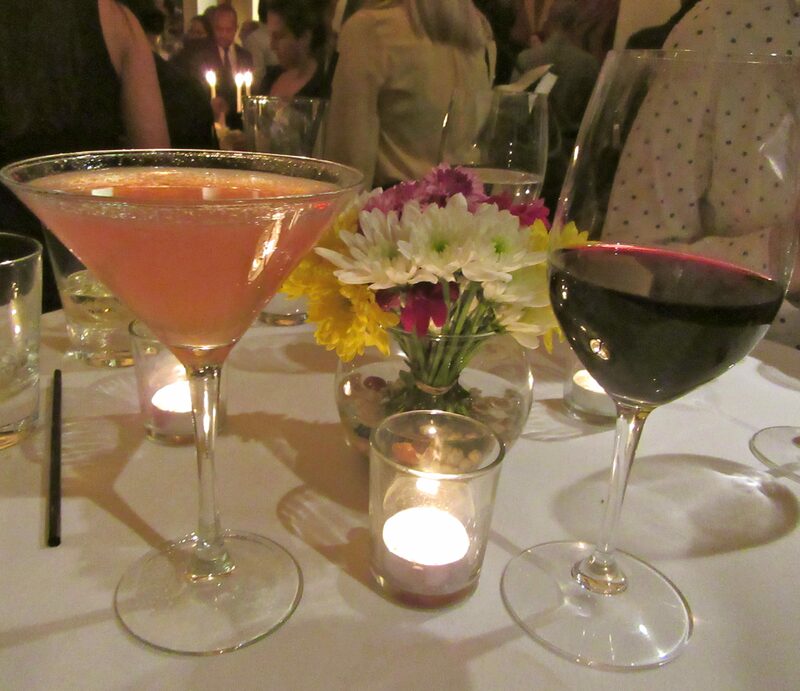 Cosmos and Wine made us feel fine! They were also serving authentic, chilled Aquavit (above, right). Aquavit (“Water of Life”) is an important part of Scandinavian Drinking Culture, where it is often enjoyed during festive gatherings, such as Christmas dinners and weddings, and as an aperitif. Although the recipes can vary, this Aquavit was vodka infused with cardamom and figs. It tasted like sweet fire. Skol! 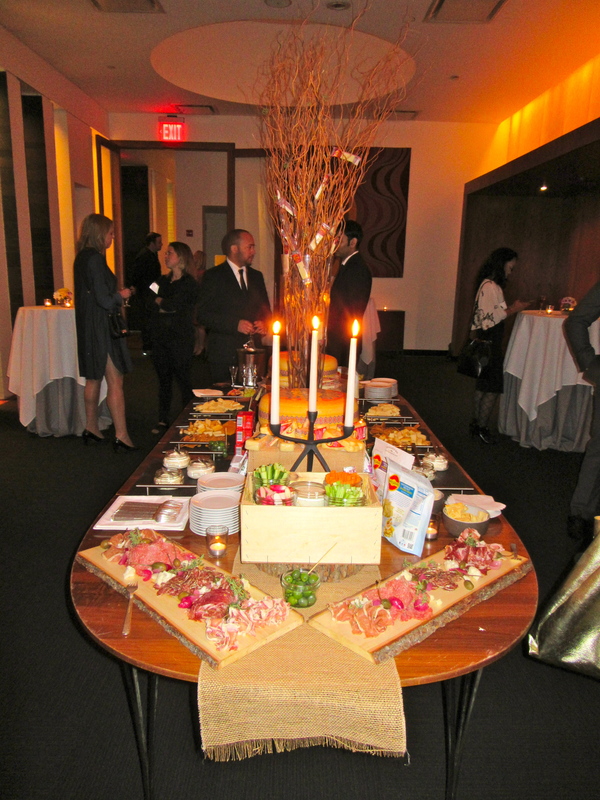 Thanks to both Jarlsberg and Aquavit for a truly wonderful evening!